New Year. New Opportunities. New Start. In single parent and stepfamily life, the new year is an important time for us. But I think we arrive at it differently than other kinds of families. For instance, the holidays for our families have the additional stress of transitions with children, perhaps issues with the ex, and the feelings of loneliness that may come with being without your children for part of the holiday or overwhelmed by all the kids/stepkids. All of these are manageable issues (although they may not seem so right now) and you can learn to work through these issues for better holidays in the future. But what doesn’t go away is that I can’t seem to catch my breath about the New Year until the kids are all back in school, even now that our children are in highschool and college. Anybody else know what I mean???? Once normalcy has returned to our schedule, then I have the time to really think about the old and the new… and our hopes and dreams for the coming year. This time of year is also strange. While there are many who feel good about the coming year, there are always those who have questions and concerns about what this year holds for us. And who are still having trouble dealing with last year’s stuff. I love the quote above because it was sent to me more than a decade ago by my brother who loved me dearly but knew we were going through a hard time during the early years of our stepfamily. But then, I realized that it didn’t say it was sweet because it was good. It was sweet because this was the only time for this time. The first part of creating a good new year’s feeling is to just realize that you are doing what you need to be doing – taking each day as it comes. And to be intentional about each day. Don’t take any day for granted. You may be struggling, but this is the only time your child will be 3 years old, or 6 years old, or 13, or 16 or 21, etc. While we spend a lot of time as parents lamenting the electronics, we need to put the phone down too and look at the sweet faces of our children every day, in awe of how they change and grow. I don’t want you to miss a thing… because this one day will never come again. And those weekends when your children are with your ex, don’t miss a thing then either. Stop working more or cleaning out the closets. Don’t miss those opportunities to take care of yourself. Simple ways to take care of yourself. Wind down. Go to the movies. Enjoy time with friends or your new partner. Get a mani/pedi or a massage or go to a sporting event, drink beer, and eat peanuts. The point is to live every day and not just muddle through. The more moments you are intentionally living and focused on living… regardless of the very real difficulties of your life, the more life will seem sweeter. 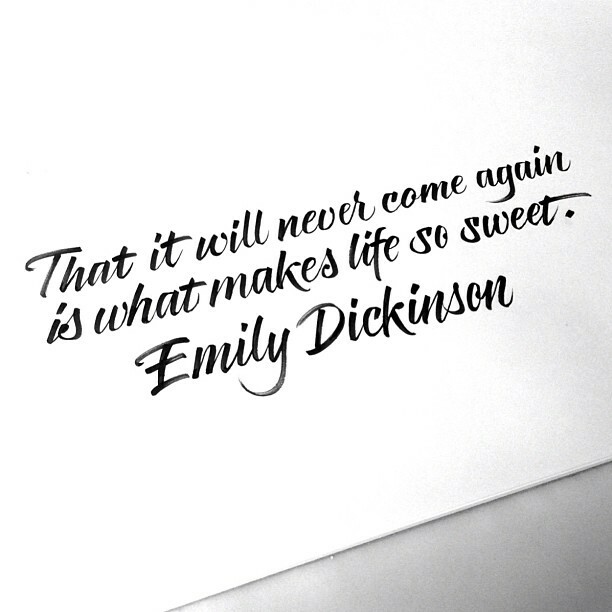 What can you focus on and do differently to make life sweeter? I would love to hear from you and what you are going to do. 2016 just began. You’ve got plenty of time.